Chiang Mai Arts and Cultural Centre, Being a part of culture heritage of the northern Thailand to the next generation at here. According to the tourism in Chiang Mai, as everyone know there are many interesting attractions in Chiang Mai. The best one is our Chiang Mai Arts and Cultural Centre. Let’s study the long-aged of the historical arts and the history of Chiang Mai, including with the human-being and traditional of the passed men with this well-known historical attraction in our Chiang Mai, the Chiang Mai Arts and Cultural Centre. What’s we can see in our Chiang Mai Arts and Cultural Centre? Our Chiang Mai Arts and Cultural Centre has ever been the important place in the long-aged day before. There is the central city of the historical northern town in long time ago. By the way, in nowadays this place is becomes the famous one Culture Centre in Thailand. Our Chiang Mai Arts and Cultural Center has won the SEANTA Excellence Awards 2007 (in round 21th) from the ASEAN Tourism Association – ASEANTA in category of the Best ASEAN Cultural Preservation Effort. Moreover, has won the 6th Thailand Tourism Awards 2006 from our tourism authority of Thailand. While step here to our Chiang Mai Arts and Cultural Centre, you need to pay for the fee for enjoy the interesting exhibition inside. 20 baht for adult and 10 baht for the children, cover for both Thai and foreigner visitor. 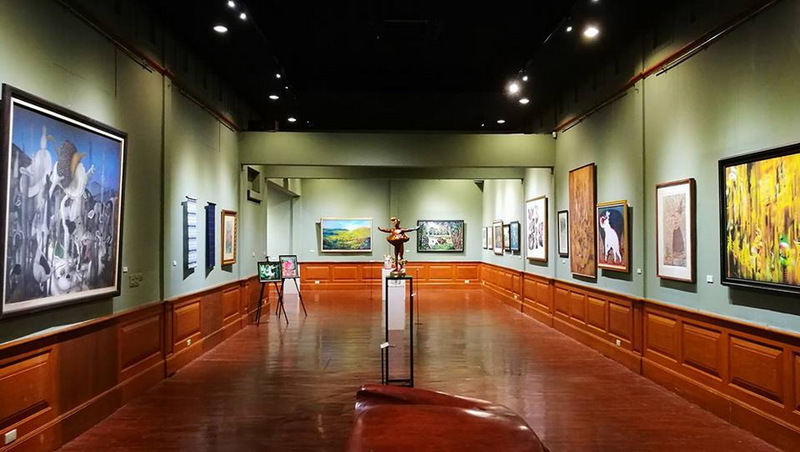 This Chiang Mai Arts and Cultural Centre has provided the 15 permanently interesting exhibitions for everyone. 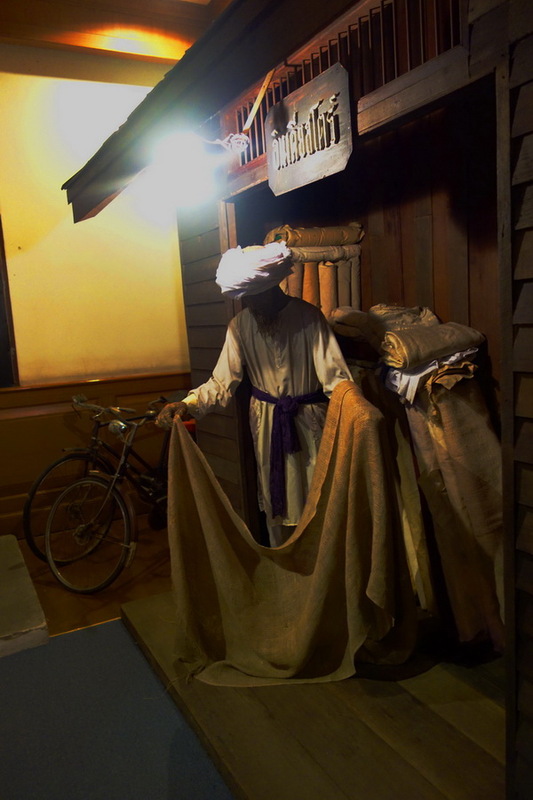 Let’s start with the first, is the room for display the interesting story as Chiang Mai’s today. The story will show all audiences about Chiang Mai in the past day becomes to Chiang Mai in nowadays. I think this story is very good for the younger to study their history of their hometown. The second room, is to show up the creature of the Lanna civilization before becoming to Chiang Mai nowadays. The third room, is about the historical that’s occur around 2 important river in Chiang Mai are Kok river, and Ping River from the pass. The forth room, is show the town plan of Chiang Mai .Moreover is the town plan of the northern city before transform to be Chiang Mai in the present time. 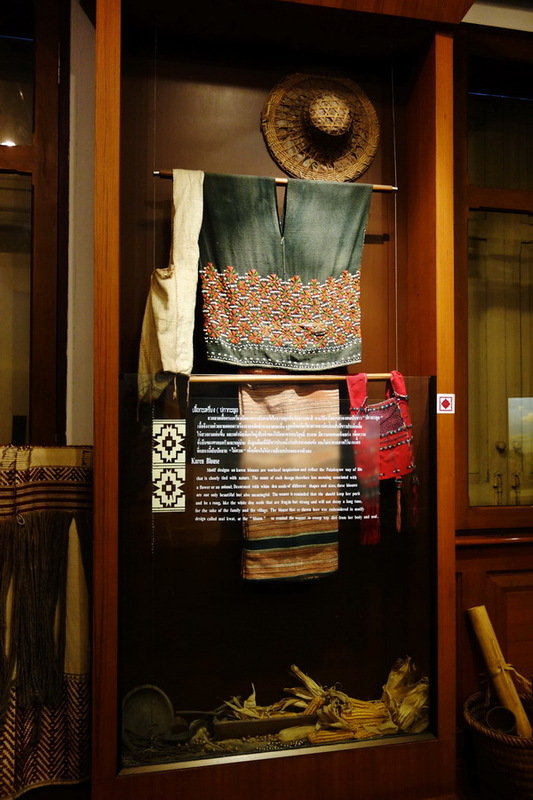 The fifth room, concerns with the relation of the culture and traditional between Chiang Mai and the nearest local area. The sixth room, is show the mock-up overall forest, Khun Tarn tunnel, and the old-types of the train that are the important parts of turning our Chiang Mai to be much more civilization. 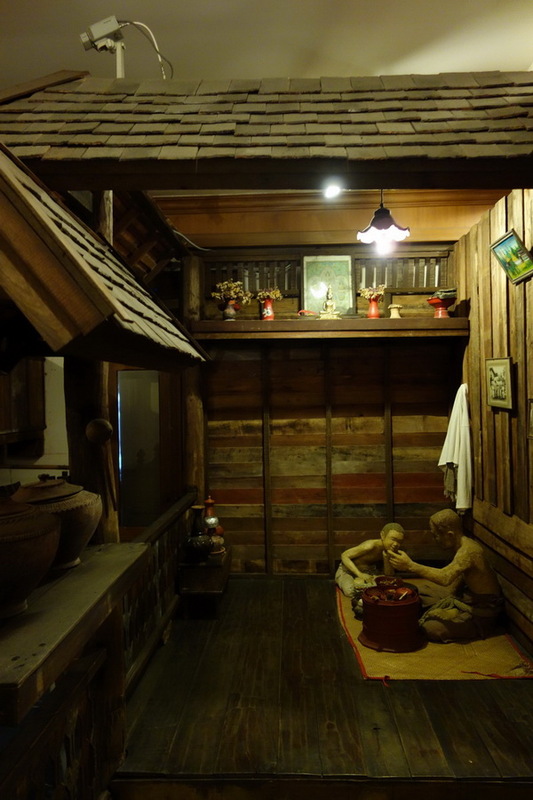 The seventh room, is show the core identity and important tradition of native Chiang Mai, which passing away from the old men to the present. 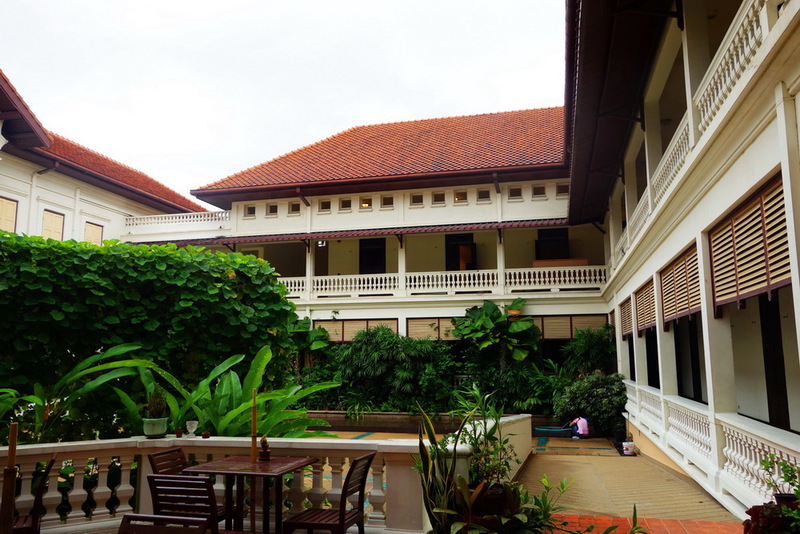 The eighth room, is quite simple tell us the basic historical of the Chiang Mai Arts and Cultural Centre. The ninth room, is name Jao-Luang-Chiang-Mai. Always allow us to study the regime in Chiang Mai in the pass till to the present. The tenth room, is show us the mock-up of human being around the Ping River, especially with the merchant and the merchandise. The eleventh room, is mock-up of the famously beautiful market around the Singha temple in the past days. 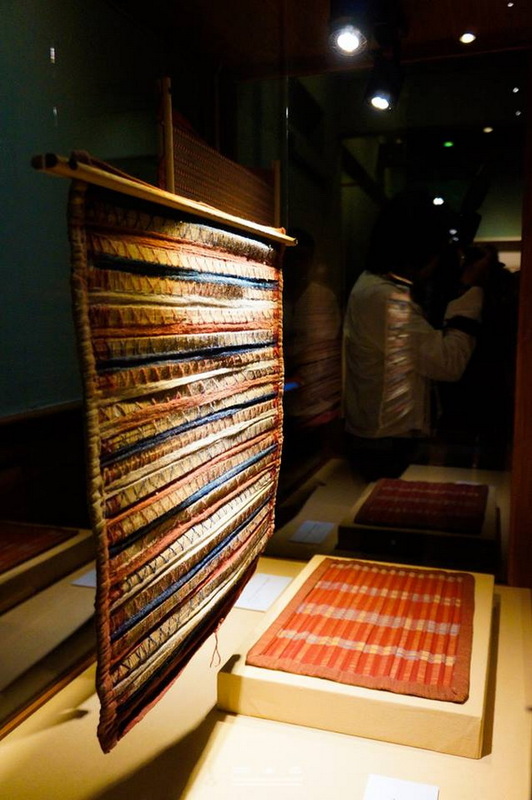 The twelfth room, is display the relation between the human being with the Buddhist in the past. Moreover, is the important of Buddhist effects the human development in the pass days too. The thirteenth room, is show up the one of important ceremony of the Lanna in the past, is the Bay-Sri-Tul-Phra-Kwan. This important ceremony is about the tradition for pay respect and welcome for their king and their queen, including to the important guess for the town too. In recommendation, this room is the good room for taking a lot of picture to tell the story to your friend too. The fourteenth room, is show up the important agriculture in Chiang Mai in the past till to the present day. 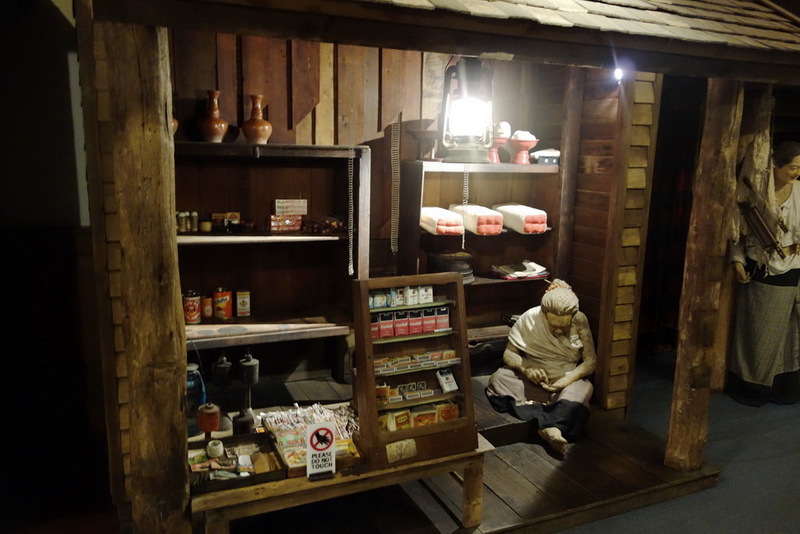 The fifteenth room, is my favorite room that show the human being of the native life in the hill. This room is the good classroom for study their living in exactly understand by the good pictures and the other media. All in all, in my opinion this Chiang Mai Arts and Cultural Centre is the good attraction for study the historical of Chiang Mai, to live and learn this land before becoming to the civilization of Chiang Mai. Proper for your family and your Children to study the important historical of the northern town of Thailand. This attraction is one of my best recommendation to visit at once while you taking a trip in Chiang Mai. How do we get to the Chiang Mai Arts and Cultural Centre? Do not be worry to get this interesting attraction, Chiang Mai Arts and Cultural Centre because, they are several way to getting there. 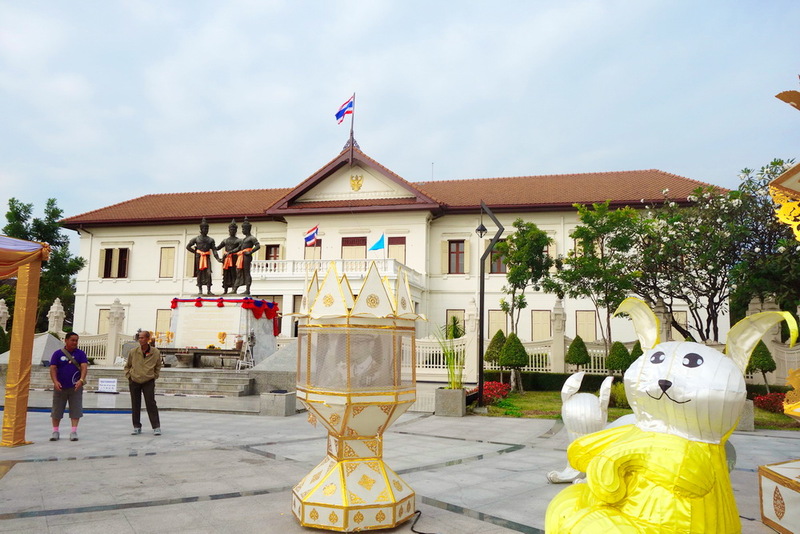 Our Chiang Mai Arts and Cultural Centre is located in the central city of Ching Mai, is located nearest the Chiang Mai Museum and Wat Phra Singh. So, you need to go along in the direction of Prok-Klao road in Sripume sub-district and you will reach the point in finally, the recommend for public transportation is taking the red minibus to get our interesting destination, Chiang Mai Arts and Cultural Centre is one clever with the cheaper cost of traveling. Cycling and walking is the best recommend way in chilling time to reaching our destination in good weather days too.